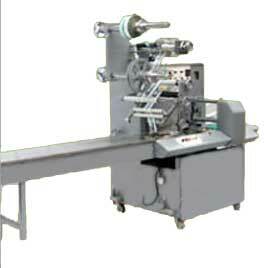 We are one of the well reckoned Ribbon Packing Machine Manufacturers, Exporters and Suppliers from Faridabad, Haryana. We offer superior quality Ribbon Packing Machines that are specially designed by experts keeping in mind the top quality as well as performance standards. Equipped with latest technology and wear resistant spares, our Ribbon Packing Machines have carved niche for themselves in markets across the globe. Laminated Film and white Paper strip fusion Device.